On March 15, Gov. 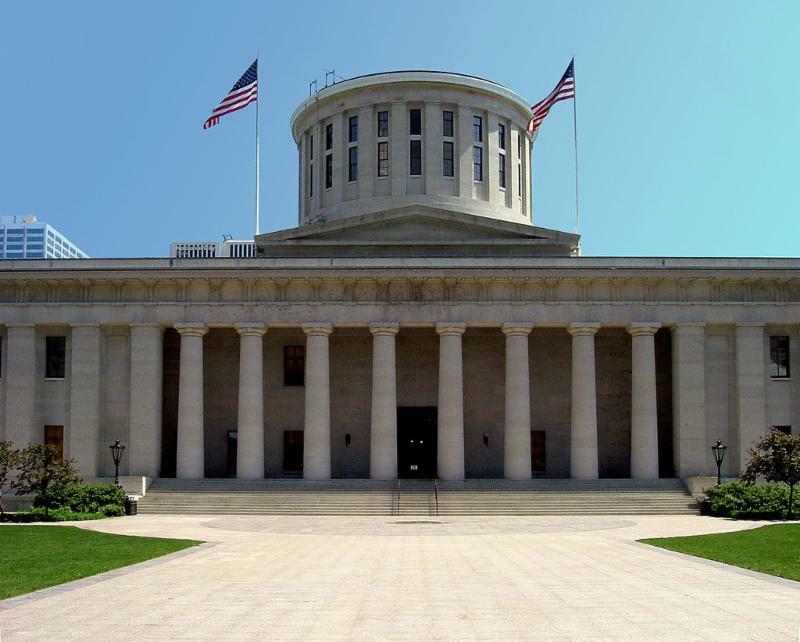 Mike DeWine unveiled his executive budget for the biennium, Fiscal Years 2020-21, but the formal budget bill -- House Bill 166 -- was just introduced on March 25. In terms of funding, higher education will get a couple of boosts. State Share of Instruction (SSI) -- the main funding stream to public colleges and universities -- will receive a 1.1% increase in FY 2020 and an additional 1% in FY 2021, which amounts to roughly $42 million over the two-year period. In addition, the need-based Ohio College Opportunity Grant (OCOG) will get 21.2% increases each fiscal year, amounting to a $47 million boost over the biennium. This is a much-needed infusion of money to this important program, which helps lower-income students attend public and private institutions in the state. There also is discussion about using OCOG funds to help community college students purchase textbooks. Currently, community college students are ineligible for OCOG. Of course, we know that these additional funds are insufficient in truly moving toward a more affordable and accessible system of higher education that supports quality instruction and doesn't leave our students saddled with debt. To make up for minimal funding increases, DeWine will allow institutions to increase tuition by 6%, if they offer a "tuition guarantee." A tuition guarantee lets them raise tuition initially, but requires them to keep it consistent for the four years of a student's college career. However, language in the budget will allow institutions to appeal to the chancellor to increase tuition beyond 6%, if they can demonstrate a financial need. Unless offering a tuition guarantee, institutions will be restricted from increasing instructional and other fees. Moreover, the governor and chancellor are pushing for graduates' job placements to be incorporated into the SSI formula. There will be a study conducted by the chancellor and appointees from the Inter-University Council and Ohio Association of Community Colleges. The "Employment Metrics Consultation," as they're calling the committee, will be charged with completing a study by June 30, 2020, with expectations of implementing this new piece to the SSI formula for Fiscal Year 2022 (in the next budget). Part of the governor's plans to increase the number of certificate and degree holders is to push "micro-degrees." The state would fund these micro-degrees for at least 10,000 Ohioans a year at a cost of $15 million each year. The administration has described micro-degrees as low-cost, industry credentials that typically take less than a year to finish. We will continue to monitor the state budget bill and will offer testimony to the Higher Education Subcommittees when those opportunities arise. We will provide more details and analysis as the process unfolds. Most Ohio students probably have no idea that much of their student fee, and even some of their tuition dollars, is being spent to subsidize their university's athletic program. Rich Exner of the Cleveland Plain Dealer recently reported on athletic subsidies at Ohio's universities, save Ohio State, which is the only institution in the state with a self-sustaining athletic program. 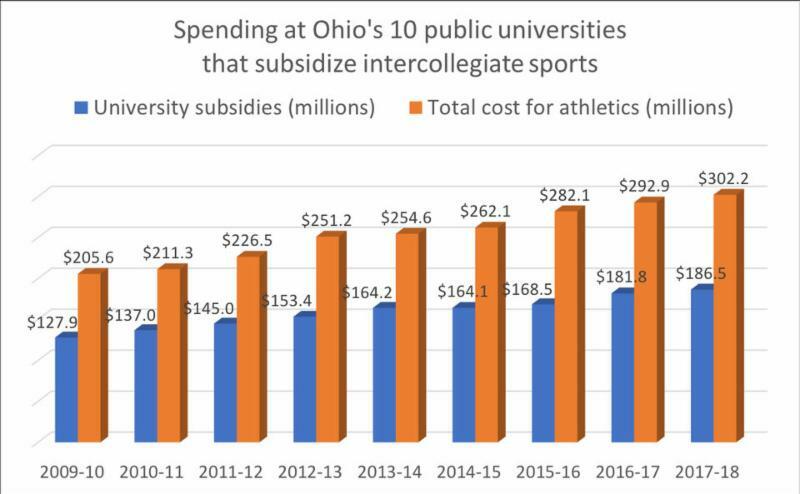 As can be seen in the graph below, Ohio's universities are spending more and more each year on athletics and the cost to subsidize these deficit-running programs. 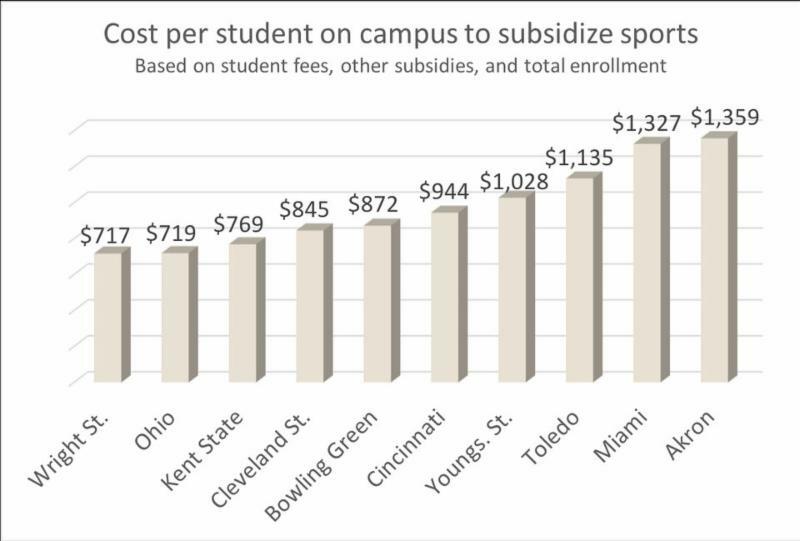 The graph below illustrates the cost per student each year to subsidize sports, ranging from the low end of $717 at Wright State to $1,359 at Akron. Multiply these figures by four years (if students are able to graduate in four years), and tack on student loan interest, and these already large figures balloon. Sports teams are enjoyable, and we support our student athletes, but when institutions are siphoning money away from academic programs and tuition support for sports palaces and expensive coaches, administrations need to reassess their priorities. Thank you for taking the time to vote in our recent elections. Congratulations to Marty Kich (Wright State), Cathy Wagner (Miami), and Mitch Eismont (Central State) for being elected to the positions of Vice President, Treasurer, and At-Large Representative, respectively. In January 2019, hundreds of Wright State faculty members went on strike not for higher wages, but to protect the core educational mission. After 20 days--one of the longest strikes in the history of higher education--they won the strike, but at a cost. Strikers lost 7.2% of their annual salaries. Any funds raised will be equally distributed among all striking faculty members, up to their total gross pay lost for striking. 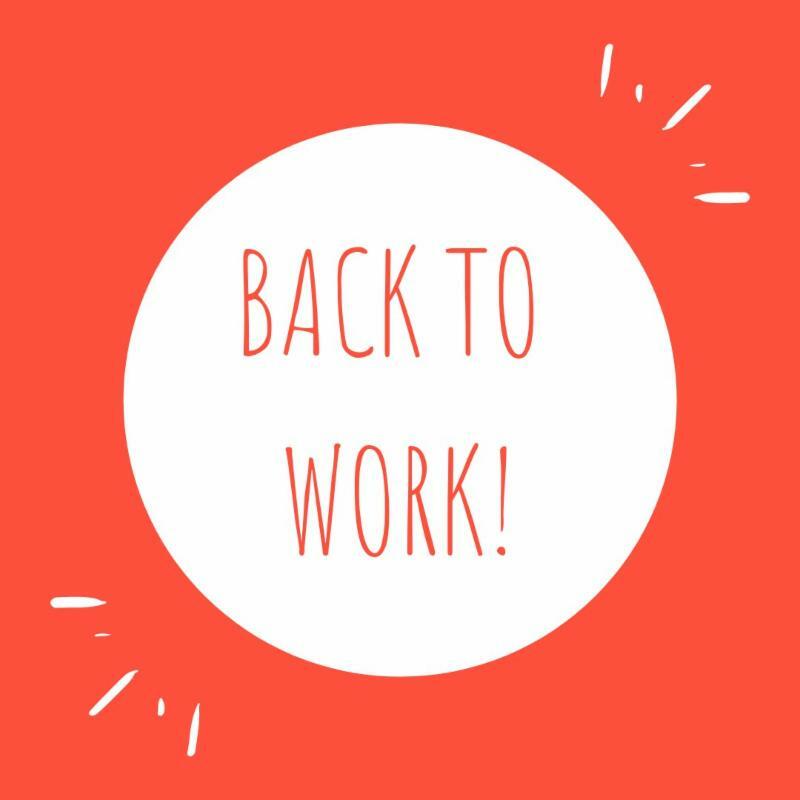 Your support will keep our best educators in the classroom, rather than working extra jobs with less time to help their students. Visit their GoFundMe page to donate today!